American chipmaker Intel on January 7 showcased a new 10-nanometre-based network system-on-chip (SoC), code-named Snow Ridge, that has been developed specifically for 5G wireless access and edge computing. This network SoC, unveiled at CES 2019 on Monday, is intended to bring Intel architecture into wireless access base stations and allow more computing functions to be distributed out at the edge of the network. Snow Ridge is expected to be available in the second half of this year, Intel said. 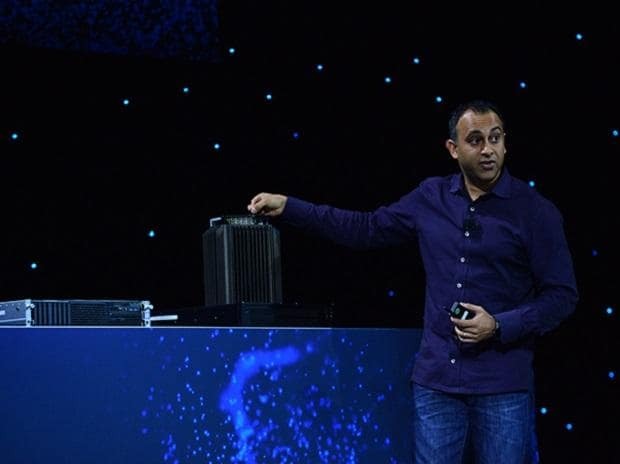 At CES 2019, Intel also demonstrated its future Intel Xeon Scalable 10-nm processor, code-named "Ice Lake." "Ice Lake processors targeting server are expected to deliver performance improvements, new hardware-enhanced security features and more, with shipments targeted for 2020," Intel said. "We are making excellent progress in pursuing a massive $300 billion data-driven market opportunity spanning the most important workloads -- such as AI, 5G and autonomous driving. And on a scale unmatched by others," said Navin Shenoy, Intel Executive Vice President in the Data Centre Group.